This has to be one of Denyse Schmidt's best lines ever! I know I think that every single time but I really mean it THIS time ;o) The colors are beautiful and rich and just AAAAAAHhhhhhhhhh! The giveaway , thank you VERY much Denyse Schmidt Quilts, is a fat quarter set of the entire Daisy Mae line!!!! The favorite in this house is made once a year only at Thanksgiving. It is Southern Sweet Potato Casserole. My Katy Mae BEGS for it year round! I'm a follower and we've already celebrated Thanksgiving up here in Canada and my favourite dish is definitely the stuffing. And apple crisp for dessert, of course! I'm a faithful follower! My favorite dish is the pumpkin pie! But if I had to pick something from the dinner portion I'd say the ham, smothered in mashed potatoes and gravy and put inside of a biscuit. Yum! I am a follower. my favorite thanksgiving dish is the creamed corn casserole that my mom used to make. it's so bad for you so i only eat it once a year or so. but it's definitely worth it when i do. I am a follower and my fave dish is Cherry Pie! I am a follower and my favorite side dish is the cranberry salad my family makes every year! My favorite Thanksgiving dish is pumpkin pie!!! Yumm!!!! Thanks for the opportunity to enter your great giveaway!!! Hi Kim! Wow those are fantastic fabrics! I would love to get them to my hands! Too bad we don't celebrate Thanksgiving here - I would love to taste pumpkin pie! PS. Your new header is beautiful! I'm a follower! I like the Turkey and mashed potatoes and gravy. Nothing too exciting, just the basics! Well we in the UK don't have Thanksgiving but if we were to have it then I would make a sumptuous Pumpkin risotto. I would choose stuffing as my favorite Thanksgiving dish. Sometimes I even make it when it's NOT Thanksgiving just because it is so delicious. Thought I was already a follower, but I made it official today :D! My favorite is also sweet potato casserole! I put chopped pecans and mini marshmallows on top of mine! Yum! My favorite Thanksgiving dish is probably pumpkin pie. But leftover sandwiches are right up there at the top of the list, too! OMG. I have been wanting this set, but my fabric budget is basically nil for the rest of the year! Thanks to you and DSQ for this giveaway! I am already a follower. We pretty much never have mashed potatoes and gravy, so that is what I look forward to all year with Thanksgiving. I also love real cranberry sauce. I'm already a follower and I would have to say that the stuffing is my favorite - a sausage sage stuffing! YUM. I love stuffing! Thanks for chance to win. I'm a follower and my favorite Thanksgiving dish is definitely my grandma's mashed potatoes. any kind of skins on mashed potatoes! I'm a follower and I love stuffing! I only make it once a year at Thanksgiving, so I eat a ton all weekend long! I'm a follower. What a lovely giveaway. Thanks for the chance to win. Hmmm... my favorite. I love it all but I guess I would choose the stuffing and the sweet potatoes. Yummm! I'm a follower and I love dressing - even better cold the next day. I'm ALL about the stuffing. I'm a follower - thanks for an amazing giveaway! My Joanne's doesn't have ANY of this line. I'm a follower. Mu favorite thanksgiving treat is pumpkin pie with cool whip. Yum!!!! I'm a follower! While I'm Canadian and this is not our Thanksgiving week, we already celebrated in October and my fave is stuffing. My mom's recipe, which I also now make! My favorite Thanksgiving dish is stuffing. It's just not Thanksgiving without the stuffing! We already had our Thanksgiving in Canada...but all the turkey talk I have been seeing this week has made me wish we could have another Thanksgiving meal! Stuffing is my favourite, has to be the way my mom makes it though~! I'm a stuffing fan :) THANKS for the chance at that gorgeous bundle! i'm a happy follower and i love love love this D.S. collection!!! i would be over the moon to win since i've yet to hit joann's....thanks so much for the chance. my 94 year old grandma's "dressing" is my absolute favorite-and yes, she's still making it! thanks for a chance...im on a hiatus from buying fabric, so this would be serious treat! i like the turkey...we never make it otherwise...im a white meat only girl...which is fine cause hubby loves the dark meat! ps...love you Hope Valley header! My favorite Thanksgiving dish is my family's cranberry jello salad. It's become the thing I'm requested to bring with me every year when we join my in-laws for Thanksgiving too so they must love it as well! I'm allergic to turkey, so I pick pumpkin pie! I'm a follower from the UK and we don't have Thanksgiving! but at Christmas my favourite food is mince pies!! My favorite dish is green bean casserole! I make it even when it's not Thanksgiving I like it so much! We don't have Thanksgiving in my country (although I wish we did) but I do like pumpkin bread. Yes, I am one of your followers, too. I'm a follower. My favorite thing at Thanksgiving is the smoked turkey. It's so delicious! Hello, I'm a follower and I love stuffing! My mom used to make it with home made bread crumbs (seasoned)....I'm a little less ambitious than that, but I still love it. Thanks for the give away chance. Happy Thanksgiving! My favorite Thanksgiving dish is definitely PUMPKIN PIE! I have no idea why I only make it at Thanksgiving time...thanks for the opportunity to win! I'm a follower! Since I'm from Canada, we've already had Thanksgiving! :) But my favorite dis is the gravy. I know it's not really a "dish", but I love it. I pour it over everything (maybe except the salad, because that's just gross)! I've been a follow for several months now :) My favorite Thanksgiving dish is probably glazed carrots. I don't like a lot of regular Thanksgiving food (i.e. stuffing and sweet potatoes), but my grandma would cook some carrots in with the sweet potatoes for me. For me it's Sweet Potato Casserole, too. I make it from a delicious Susan Branch recipe. I'm a follower, and glad to be one. I'm a follower and my favorite dish is all the leftovers! I love turkey sandwiches and cold stuffing with some potatoes and gravy.. And I love apple or cherry pie! Thanks for the great giveaway! We've already had Thanksgiving, and my favourite dish is called Hot Potato Salad - it's grated potatoes baked with lots of cheese and sour cream. I could eat the whole dish myself except we all love it! I'm a follower, and that fabric is in all my fave colours! My favorite is always the cranberry relish -- with oranges. Love that stuff! yummy fabric! I second the cranberry relish comment. I love it with dressing and mashed potatoes!! Already a follower! Being 'downunder' we don't celebrate Thanksgiving but I make a mean Pecan Pie! I am already a follower. My favorite is layered pumpkin pie, nummy! Happy Thanksgiving. Whilst we don't do Thanksgiving in Australia, I do love pumpkin pie! I'm intrigued to know more about sweet potato casserole - I thought it was savoury but then pecans & marshmallows on top??? We don't have Thanksgivingin the UK either, but any special event deserves a nice roast - and the best part of a nice roast are the Yorshire puddings and gravy!!! Everytime I think of my favorite Thanksgiving food it is something different. I love all of it. I am making a Cranberry Pie this year that is really, really good. I'm a follower... yep, I am. Thank you for a great giveaway!!! On the goody list Chocolate pie and peanut butter Candy....I know it's now one thing. I am a follower! Lovely giveaway. My favorite dish is my mom's homemade Creamed Corn. This dish makes me wish every day was a holiday...not that my backside needs it! It's got to be pie for me. :) I especially like pumpkin pie made all from scratch (whole pumpkin and all). Which reminds me I have some pies to make tomorrow! Thanks for the giveaway Kim. :) That stack is gorgeous! I know it's pretty boring, but my absolute favorite is green bean casserole. Unfortunately, I don't even get it every year! I can never have enough mashed potatoes and gravy! I am a follower - thanks for the chance to win some Daisy Mae -love the bright colors. My favorite Thaksgiving dish is Wild Rice Casserole - yum! A follower here (and I commented on your initial post about how nice it is to have friends like Denyse Schmidt!!!). I really, really, really like sauerkraut with our Thanksgiving dinner (right smack dab in the middle of the plate! ); does anyone else eat sauerkraut with Thanksgiving dinner??!!? My favorite is sweet potatoes, especially with lots of yummy pecans and brown sugar on top. Does pie count?!? Because it's definitely the pie...pumpkin is my favorite! I am a follower and sweet potato casserole is my fave too! I've been known to eat it for breakfast the next day. Mine has brown sugar and pecans on top- no marshmallows. It's delish! Happy Thanksgiving and thanks for the great giveaway chance to win! I am a follower and I love green bean casserole or my grandmother Rose's stuffing! Sad, I won't make it home this year to have the stuffing though. In Australia we don't celebrate Thanksgiving but I have to say that I have always wanted to try true American pumpkin pie. Guess I will have to travel overseas around November. I am a follower, and I love pumpkin pie! I am a follower and my favorite Thanksgiving dish is pecan pie (my mother's). I also make a great cranberry sauce - chill the Ocean Spray can, open, and slide the sauce into a cut glass dish. Serve with a pretty spoon. My Mom does the cooking and I wash the dishes. Works well for us. Happy Thanksgiving. Thanks for the chance - great fabric. I love love love my momma's stuffing. followed up by my mother n laws chocolate dessert. Thanks for the chance to win. I love to make homemade cranberries! I like to hear them "pop" in the pot as they cook! My favorite dish to eat is the pumpkin pie! I love to eat carrots and turnips mashed together with a bit of butter. It is the best! Thanks for the giveaway! definitely a follower! I love pumpkin pie! Stuffing, stuffing and more stuffing! Love it leftover on turkey sandwiches with some mayo and cranberry sauce. I would be very happy to take this pile of fabric off your hands. Just saying. My favorite Thanksgiving dish is my husband's brined turkey. SOOOooo good. I would be very thankful to have these...can't get them up in Canada, where we celebrated our Thanksgiving back in October :) My favorite dish is always a toss up between my mom's amazing stuffing and the pumpkin pie. Thanks for the giveaway, Kim and Denyse! What beautiful fabric!So cheery! That can only mean warm weather around the corner right? LOL My fave dish on Thanksgiving is my Hubby's Grandma's Monkey Bread from scratch recipe. Made only once a year! Everyone looks forward to it :) HAPPY THANKSGIVING! I am a follower and my favorite Thanksgiving dish is Green Rice Casserole. I always make a double batch and hope that there are some leftovers! Love all of Denyse Schmidt's fabric lines. Pumpkin Pie!!!! Great fabric. Thanks for the chance to win! I'm a follower and you gotta love having turkey. I was gonna say the sweet potato pie too but I also love the stuffing cause I don't make it any other time. Love the fabric, thanks. The favorite in our family is a dish we call Cranberry Fluff. Jellied cranberries, crushed saltines, and sweetened whipped cream layered in a glass bowl so you can see the layers. Sounds strange, but the tart, salty and sweet combo is great. Thank you for the chance to win this beautiful fabirc. I really look forward to sweet potatoes, actually yams, roasted with garlic, rosemary and olive oil until full of carmelicious flavor. I am a follower,but we didn't celebrate thanksgiving. Very nice fabric! I make pumpkin cupcakes with cream cheese frosting for Thanksgiving. I am a follower, enjoy your holiday! I am a follower and I love the homemade rolls! thanks! I am a follower. I'm not in a country where Thanksgiving is celebrated, but one day I am going to have a go at making Pumpkin Pie! My favorite Thanksgiving dish is sweet potato casserole with marshmallows (but they need to be nice & crispy - almost burnt) yummo!!! my favorite dish is stuffing with the jellied cranberry sauce. I just became a follower and I really do love the fabrics. they would be perfect in a new quilt that I am making. thanks. I don't celebrate Thanksgiving. I'm from Singapore. If pumpkin is a dish, I would love to eat it mashed. I am a follower, my favorite is the turkey.. but the leftover turkey as a sandwich somehow is even better! I love my mom's homemade rolls! My favorite part of the Thanksgiving meal is a toss up between the dressing and the pumpkin pie. Thanks for a chance at DS new fabric line. It is lovely! Sweet bundle of fabric!! I am a new follower. A favorite Thanksgiving dish for me is roasted sweet potatoes. I'm an old follower living in Canada and we celebrated Thanksgiving in October. My fave dish is "Cheesy Brussels Sprouts, and I've been making them for over 30 years. Thanks for the wonderful giveaway, Denise's new collection is fabulous, as always. MY MOM'S FRESH HOMEMADE ROLLS ARE ALWAYS A HIT! YUM! My favorite dish is my homemade cranberry sauce. I'm a follower through Google Reader. I'm Canadian, so our Thanksgiving passed a few weeks ago. However, my favourite dish is definitely stuffing. We went to dinner at a friends house and she made the most delicious stuffing that had whole almonds and pine nuts in it. I could have eaten a whole plate full! My favorite dish will have many thinking 'is she nuts!?'. It's a broccoli salad with raisins and celery that I make. I only make it once a year when I have other people here to help me eat it. If I made it other times then I'd eat it all myself over a period of days. That would be very bad because that much brocolli would affect my meds that I take which change how they work based on the amount of Vitamin K eaten. I can't have too much and I LOVE that salad. If you have ever eaten at Sweet Tomatoes and had their Jean's Brocolli Salad this tastes exactly like that. SO YUMMY I do love the stuffing but this salad is the first thing I go to on my plate once it is filled. I have been a follower for awhile also. Oh those fabrics are gorgeous! We don't celebrate Thanksgiving here, but if we did it would have to be the turkey! My favorite dish is my mother's stuffing. So good! My favorite dish is pecan pie! What a lovely giveaway!! Thank you! My favorite Thanksgiving dish is mashed potatos and gravy!! Yum!! Oh that fabric is beautiful! My favorite dish would also be sweet potatoes but my sister makes them with crushed pinapple- I know that doesn't sound good but it really is yummy. Well if we had thanksgiving, I reckon we would be kind of traditional and turkey would play a big part! My favorite dish is baked mac n cheese, yum! My favorite dish has to be homemade mashed potatoes (and gravy of course!) Thanks for the giveaway! The favorite dish in our home is green rice casserole on Thanksgiving. Our family loves it! 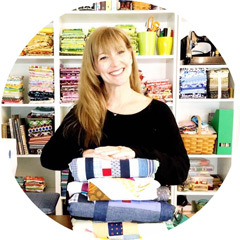 I am already a follower on your blog, and I too love that new fabric line! Im following now, whoa nice fabric, Our favorite Thanksgiving dish is going around the table and everyone dishing out what they are thankful for. Thanks for the giveaway. I know this might not sound very creative, but my favorite is the turkey. I can just pile it on my plate and eat only that and I'll be very happy. What an amazing giveaway and I'm giving "THANKS" right now for the opportunity you're providing to win such gorgeousness! Fav Thanksgiving dish ... stuffing balls. Mmm ... mmm ... mmmm. Fab giveaway! We don't have Thanksgiving here in Ireland but my fave festive dish is definitely turkey and stuffing :-) I am a follower. I`m already a follower.The fabrics are beautiful. We celebrate Christmas Eve and my fav dish is seafood. I am a follower -- the fabrics are fabulous - thanks so much and happy Thanksgiving. OOPS - my favorite Thanksgiving dish is the candied yams -- yum!! I haven't been in North America for the last few Thanksgivings, but it's my favourite holiday! The fun and food of Christmas, without the stress. THis year, I'm most looking forward to pumpkin pie! my favorite thanksgiving dish is the stuffing! The stuffing is my favorite-especially with sausage in it! I'm British so I've never had a Thanksgiving Dinner but I've always wanted to try pumpkin pie. I thought I already was a follower...but i guess i wasn;t..so i am now. My fav dish would be perogies! Awesome giveaway. I became a follower. My favorite also involves sweet potatoes. Apples and yams. I am now a follower and my fav is homemade noodles!! I'm a follower! I think my favorite thing is the pumpkin pie! My favorite is the ham! I love the stuffing the best! Sweet potato casserole- not yams, sweet potatoes :) Ouuuu, yum!!! Homemade cranberry sauce and the stuffing are tied for my faves! Mine is my mom's baked pineapple bread dish!! Thanks! For me it's all about the apple cranberry chutney. Never hurts to have some pumpkin pie either. My favorite Thanksgiving dish is sweet potato casserole with pecans on top. Thanks for the opportunity to win your giveaway. Beautiful new fabric!! I am a new follower :o) My favorite Thanksgiving dish is stuffing....I LOVE it homemade!! Thank you for hosting this giveaway! What an awesome bundle of fabric! Thanks for the chance to win....I like the turkey the best! i'm one of your new followers ... waldorf salad is my fav side dish for our thanksgiving dinner! I'm a follower and it's all about the turkey! Lots of it! Oh my word - that fabric is lovely! My favorite Thanksgiving dish has got to be mashed potatoes! So good! My favorite Thanksgiving dish is my mom's 'green stuff'. It's awesome! I'm a brand spankin' new follower and I'm going to be perusing your blog for quite sometime! Love it! Pumpkin Pie, please enter me! How can you go past pumpkin pie?! My mom's dressing is my favorite! My favorite dish is a cheesy mashed potatoes! Sadly none this year as I am on a diet. I'm a follower! My favorite Thanksgiving dish is sweet potato casserole! I'm a follower, too! And definitely, Green Bean Casserole! I'm a follower. I love these fabrics!! My favorite dish is sweet potato casserole!! Hi! I'm already a follower :) I think my favorite Thanksgiving dish is actually the turkey sandwich I have the next day! My favorite is pecan pie!!! We don't do Thanksgiving her in Australia either, but we love Pumpkin pie with Maple Cream! And my husband goes crazy for Pecan pie! Its so corny, but I really do love the turkey! We don't celebrate Thanksgiving here in the UK but I have very fond memories of delicious homemade Pumpkin Pie eaten on a visit to the US many years ago! I am a new follower and I just love turkey! I'm a new follower and so happy to have found your blog! My favorite thanksgiving dish is the green bean casserole! That or the gravy, can't have thanksgiving without really good gravy! New follower here, thanks for the awesome giveaway! I would love to win. I just love the turkey with cranberry sauce. It has to be the Turkey! I am more thank happy to become a follower of such a great blog, giveaway or no giveaway. But thanks for that too. I confess that I love a little pumkin pie with my whipped cream, the more whipped cream the better! I'm one of those problematic vegetarians, so I've taken to forcing people to come to my place so that I know I can eat everything. I also used to be a chef so each year I have to top myself by making a different, better menu. So, my favorite changes from year to year, but this year it was the roasted carrot and avocado salad (from Jamie at Home). So yummy! I'm a new follower and looking forward to seeing what you have going on! My favorite Thanksgiving dish is my Mom's cornbread dressing, and my prayer is that she will be around many more years to make it for us! The turkey and dressing! Love it! We aren't able to be with family this year so I got out the cookbooks and we're creating our own recipes. Hopefully it'll be a winner! At least I know the apple pie's good...! Thanks! The aqua in this line is fabulous.